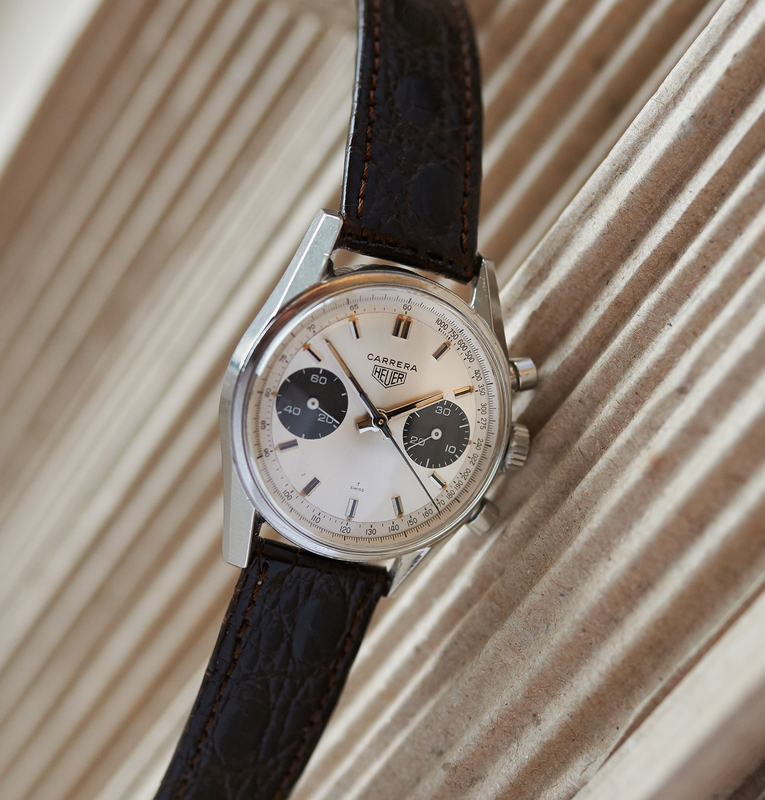 This extremely beautiful vintage Carrera from around 1969 is a very special piece as it was the personal project of a true Heuer afficionado and apart from that one of Germany´s best watchmakers. 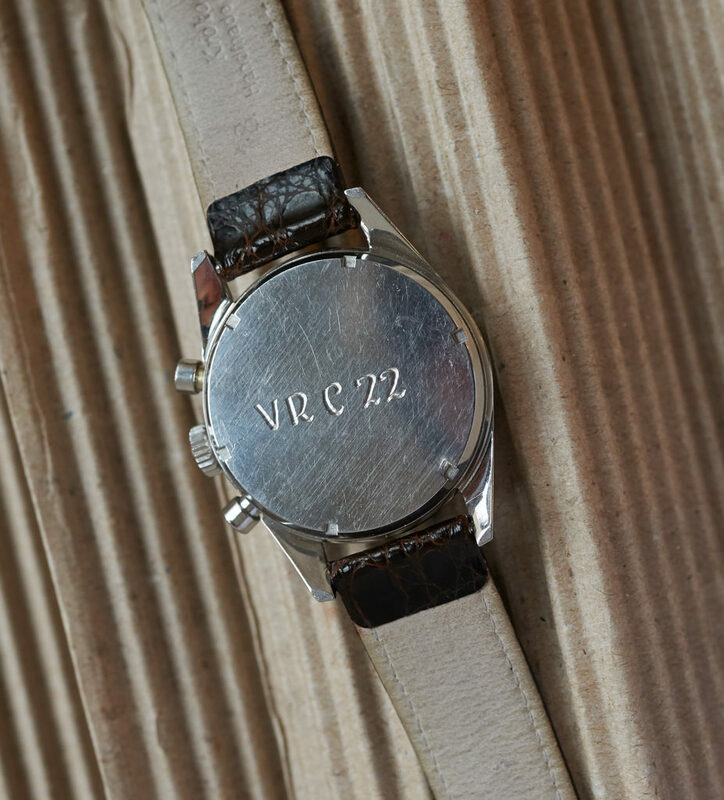 The VRC22 engraved caseback shows us, that this piece was once delivered out to the victorian railway company. 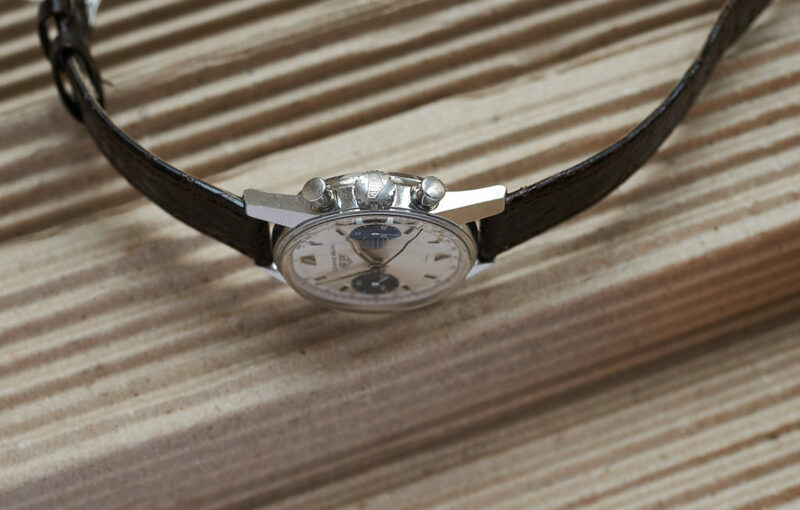 These rarely seen examples where issued to their station masters and guards back in the days, and Australia is also where the collector bought this watch from. 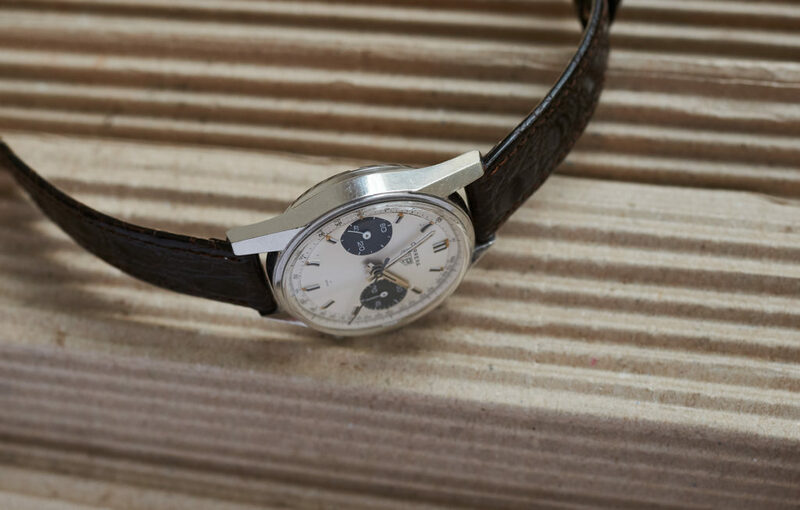 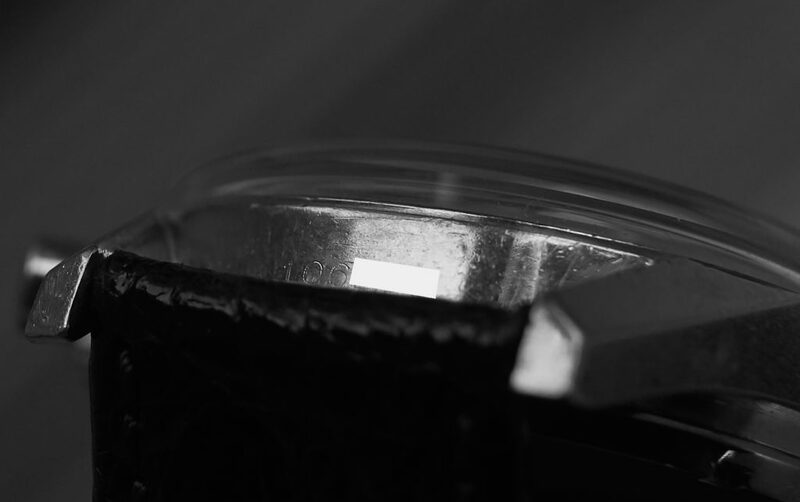 Regarding the fact that the dial was in a very poor condition and he still had an overwhelming panda SN dial with matching „short handset“ in stock (fitting perfectly into the reference and serialrange of the case (106xxx)), he decided to built it in. 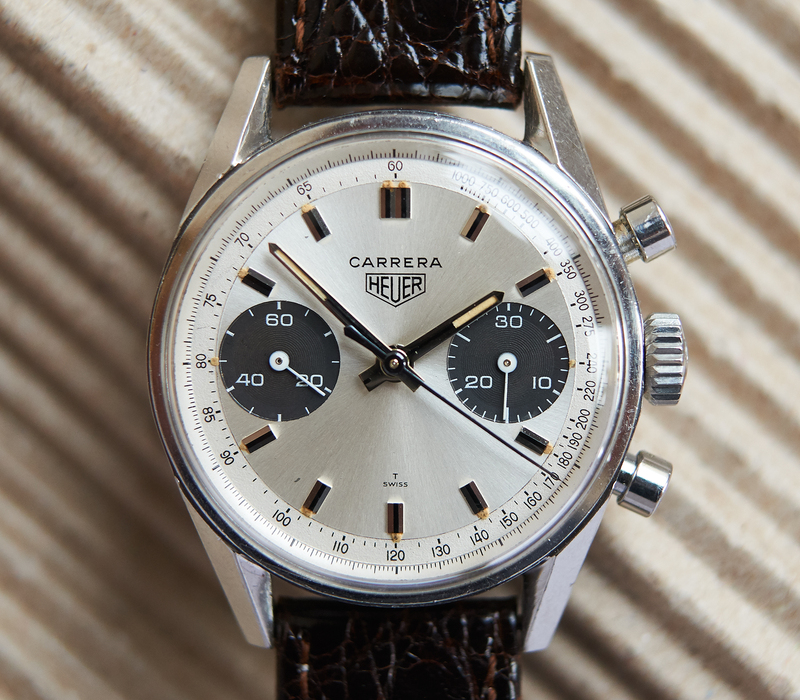 Having done so, he also gave the movement a full service and finally was very happy to have brought new life to this outstanding Carrera with all authentic and periodcorrect parts. 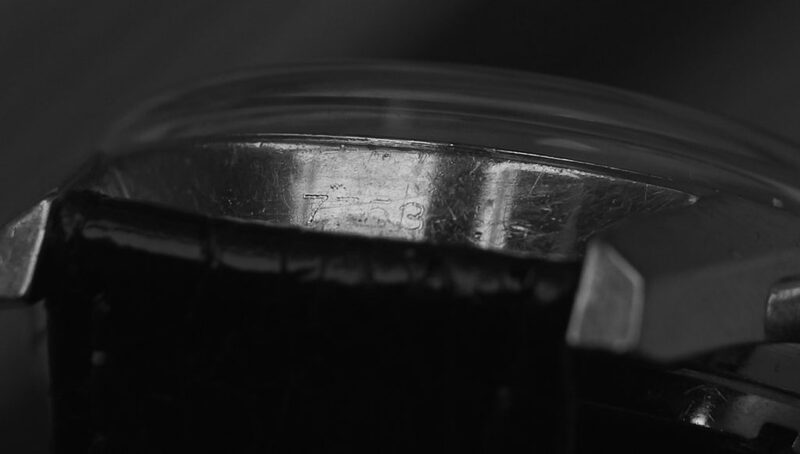 The case of this 7753 has never been polished and both numbers are clearly readable. 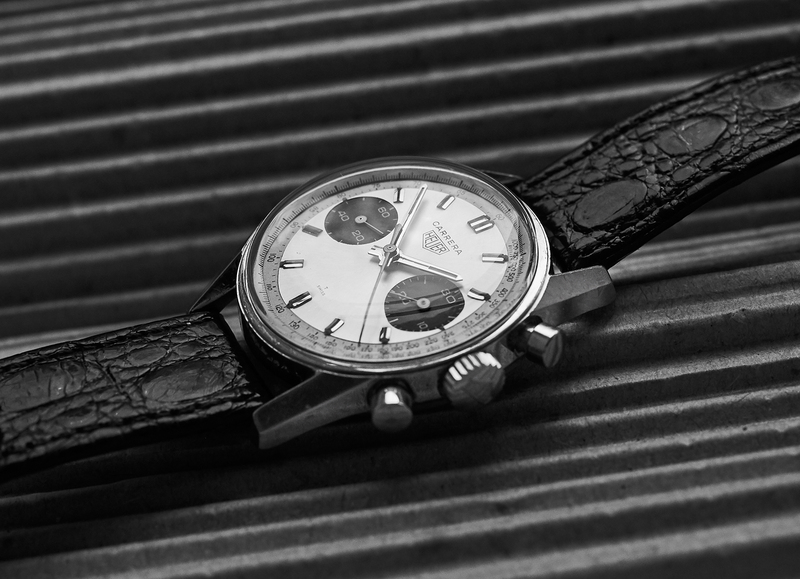 The V7730 bridge and the caseback are both Heuer Leonidas signed just as they should be. 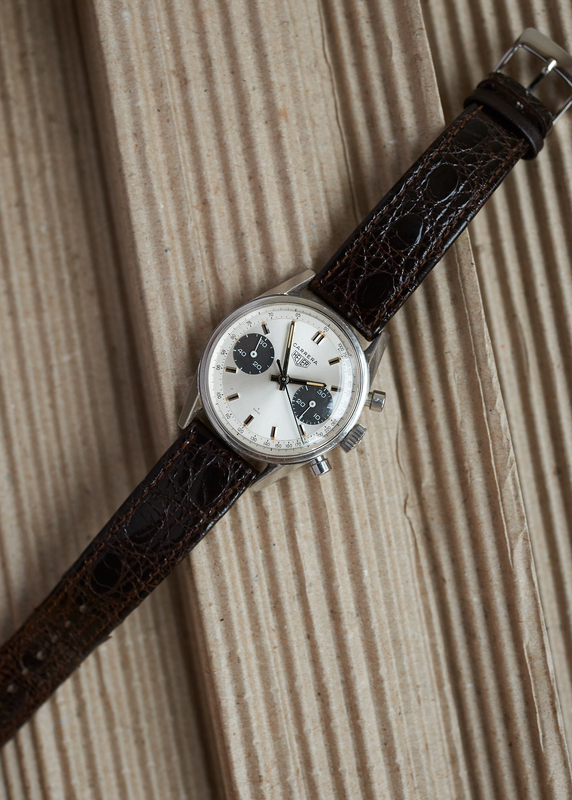 Dial and handset still appear with their original untouched lume standing any UV light test. 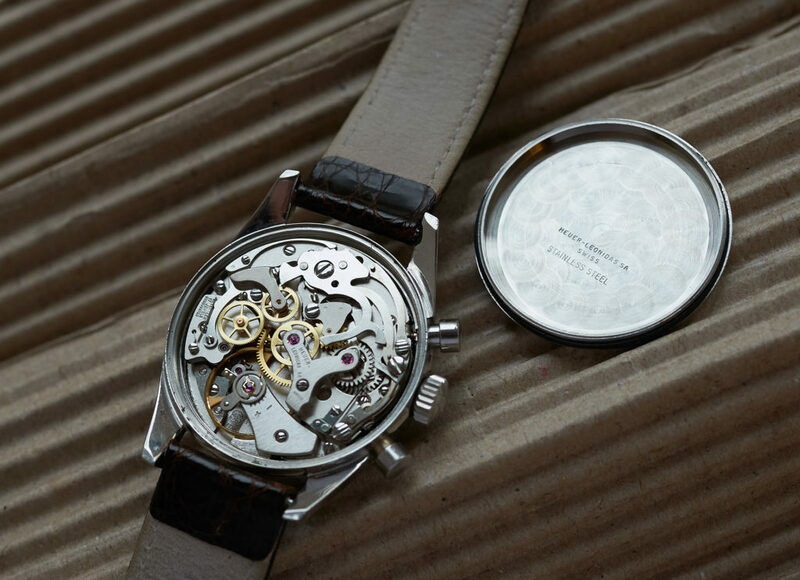 As mentioned the V7730 has been freshly serviced by one of the best men outthere and won´t cause any issues for the next decades. 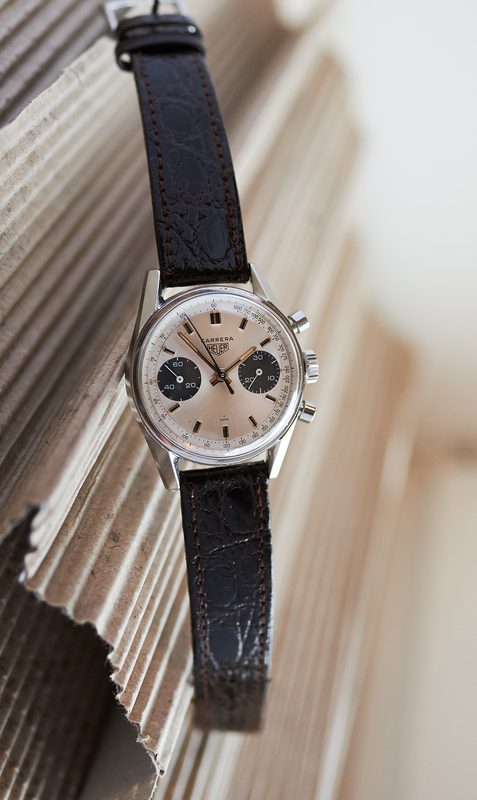 This rare Carrera comes on a darkbrown leatherband.